In a large resealable plastic bag, combine soy sauce, sesame oil, sesame seeds, garlic, sugar, salt, black pepper, and MSG. 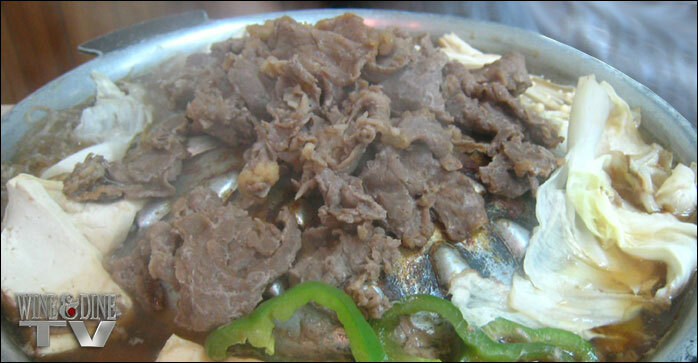 Place beef. carrots, and onions in the bag; seal, and shake to coat the vegetables and beef with the sauce. Refrigerate for at least 2 1/2 hours. I prefer to marinate mine overnight. Preheat an outdoor grill for high heat. Remove meat and vegetables from marinade, and place on a large sheet of aluminum foil; seal. Discard marinade. Place on grill, and cook for 15 to 20 minutes, or to desired doneness.